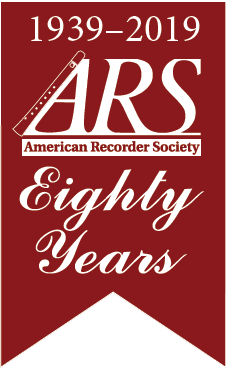 Founded in 1939, the American Recorder Society (ARS) is a membership/service organization dedicated to meeting the needs of amateur and professional recorder players. From an initial nucleus in and around New York City, the organization increased its area of operation to the entire Northeast by the mid-1950s. Through the 1960s and 1970s, ARS chapters were founded all over the United States and in Canada, while increased services coincided with rapid membership growth. The ARS has pioneered the rekindling in this century of interest in early music. Since its inception the ARS has promoted by example the growth of other American early music organizations, such as Early Music America, the Viola da Gamba Society of America and the Historic Brass Society. Celebrating its 70th birthday in 2009, the ARS has over 2,000 active members and around 100 chapters and other affiliates throughout 30 countries. Approximately half of ARS members participate in local chapters that hold regular playing sessions and other activities, and many members play in smaller consort groups. Recently, the ARS welcomed Recorder Orchestras into its family of affiliated groups. The ARS is governed by an elected Board of Directors. Since 1977, a paid administrative staff (consisting of a full-time Administrative Director, a part-time administrative assistant, and the contracted American Recorder Magazine editor) has taken over many administrative tasks of the working board.